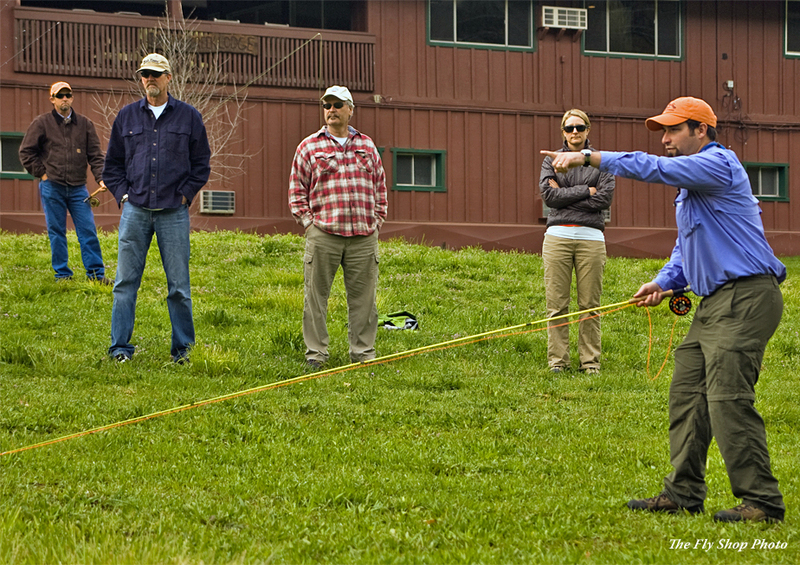 The Fly Shop’s 2-Day Fly Fishing Schools are a shorter version of our extremely popular 3 Day Seminar program, emphasizing fly casting fundamentals while introducing students to the basics of fly fishing. The focus of the 2-Day schools is to welcome both beginner and intermediate anglers to an in-depth look at the different facets of fly fishing that make the sport both fun and interesting. 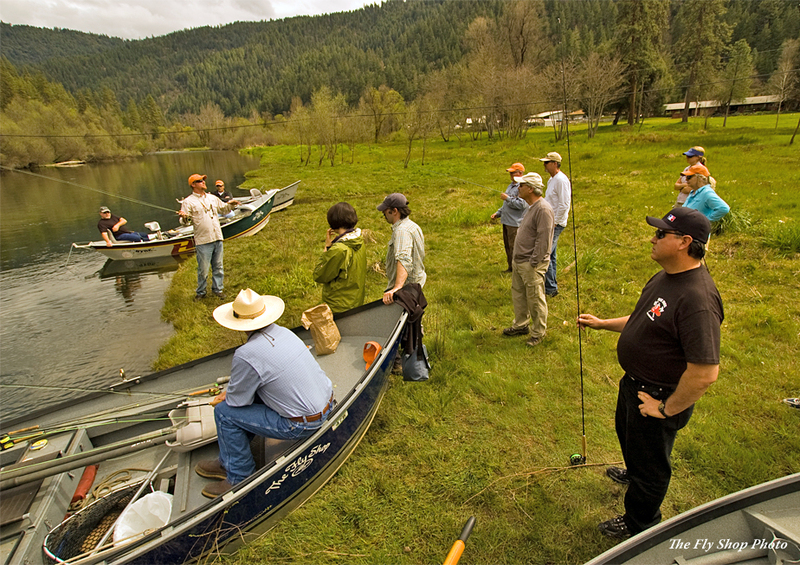 Each instruction-packed lesson builds on the previous session and is combined with on-the-water practice fly fishing on the world-famous Trinity River in Northern California. 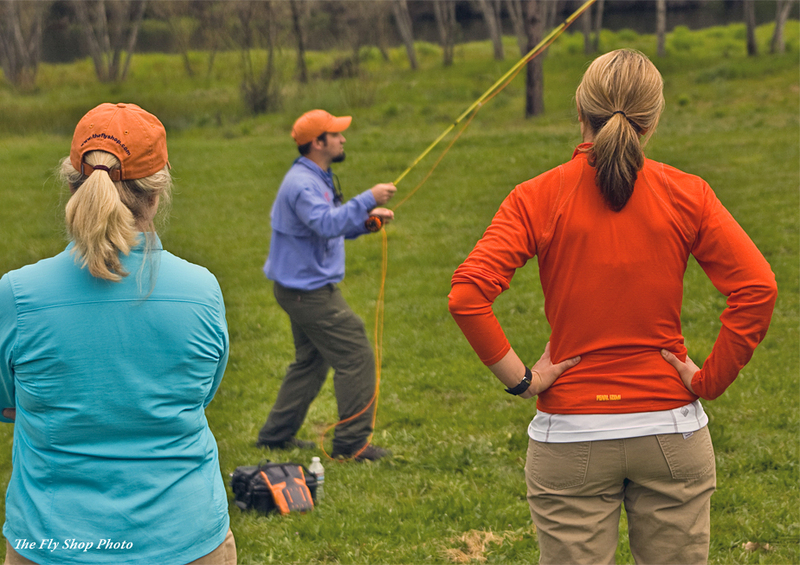 Expert fly fishing guides and instructors are on hand to help students learn about and improve their fly fishing skills. Our low teacher-student ratio ensures a comfortable and personal atmosphere, with plenty of individual time and attention. We cover an abundance of material during the school and the practice sessions and lessons are presented in a fun and relaxed fashion. 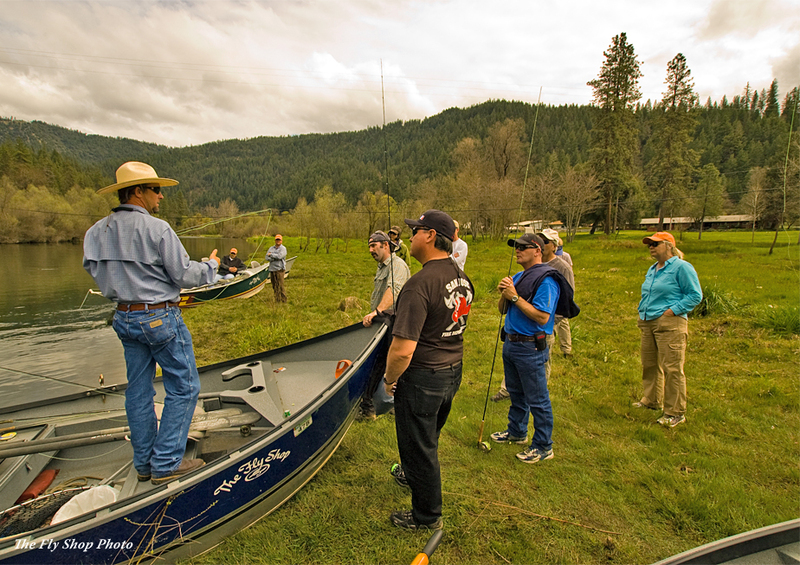 As a bonus, guests at our 2 Day Schools are able to put their practice to work on the Trinity River, where they have opportunities to catch wild rainbow trout and steelhead in a beautiful river setting. The school is held at Indian Creek Lodge on the Trinity River. Indian Creek Lodge is right on the banks of the Trinity River, and a short drive to the river’s exclusive fly fishing only section. The historic Indian Creek Lodge is nestled in the mountains just 35 miles west of Redding and Interstate 5. The Lodge sits right on the banks of the Trinity River in the heart of the renowned steelhead and salmon water. The charming gold rush town of Weaverville and trailheads into the Trinity Alps Wilderness are just a few miles away, as is the Trinity River’s well-known Fly Fishing Only Section. Included in your stay are all accommodations and meals, as well as the use of the finest fishing tools available (from Rio, Scientific Anglers, Sage, Simms, Galvan, Ross Reels, Scott, Echo, Loon Outdoors, Solitude, Montana Fly Company, Umpqua Feather Merchants, FishPond, Angler’s Book Supply, Sierra Stream and Mountain, and The Fly Shop™). Every fly, leader, tippet, rod, reel and drop of fly floatant is included in the package, as well as The Fly Shop's souvenir hat and notebook. Items needed for your stay are 2 pairs of sunglasses (polarized is best), rainjacket/windbreaker (brief spring storms are possible), sweatshirt (it is cool in the mornings and evenings), clothes (Plenty of shorts, jeans, T-shirts, socks, underwear, sweatshirt, sweat pants, and PJs), Teva or any kind of sandal or shoe/wading boot that can get wet (no flip-flops for fishing), old pair of shoes or hiking boots, sunscreen, bug repellent, toiletry items, and camera (the waterproof disposables work great). Guests are accommodated on a double occupancy basis in well-appointed rooms with full baths. All meals are provided beginning Friday evening when instructors and students get to know each other and continue through lunch on Sunday as the guests prepare to depart. 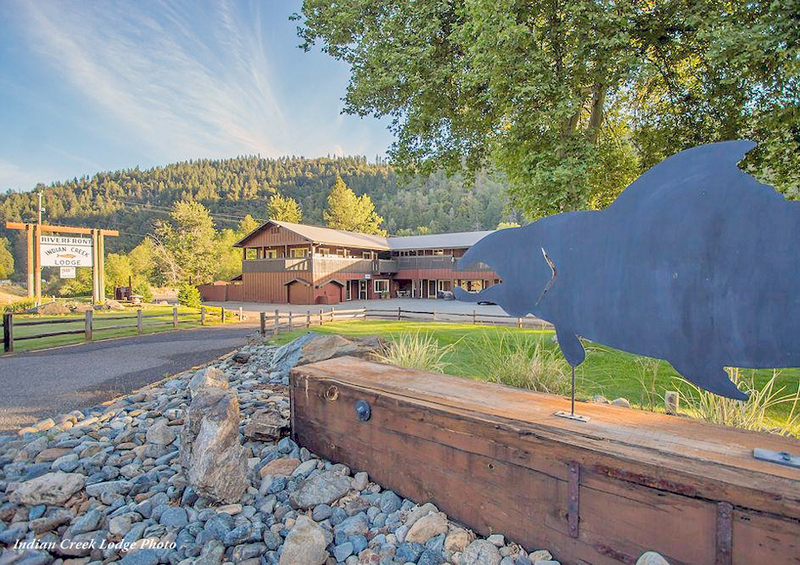 Nestled in the mountains, Indian Creek Lodge is just 35 miles west of Redding and I-5, but a world removed from the hustle and bustle of urban California. The Lodge is in the heart of the renowned Trinity River salmon and steelhead drifts, and just a few miles from the charming gold rush town of Weaverville and trailheads into the Trinity Alps Wilderness. GPS Systems will NOT place you at our location, neither will On-star or any other GPS based system. Please follow the driving directions below. In Redding take Exit 678, bear left “Eureka/Weaverville/Highway 44 West”. Cross the Sacramento River, at the second stop light (Pine Street) turn right, go one block, then left on Eureka Way which becomes Highway 299 West. Straight ahead (west) on 299 W for approximately 35 miles, passing Whiskeytown Lake and Buckhorn Summit (the Shasta County/Trinity County line). Indian Creek Lodge is on the right 12.9 miles from Buckhorn Summit, just after a long downgrade and the highway starts paralleling the Trinity River. Approaching Redding take exit #681B “Market Street, 299 West” putting you on North Market Street. Stay on 299W through Redding, turning right at Eureka Way. Straight ahead (west) on 299W for approximately 35 miles, passing Whiskeytown Lake and Buckhorn Summit (the Shasta County/Trinity County line). Indian Creek Lodge is on the right 12.9 miles from Buckhorn Summit, just after a long downgrade and the highway starts paralleling the Trinity River. Indian Creek Lodge is on the left one mile past the bridge over the Trinity River at Douglas City (about 8 miles past Weaverville).